A family-owned and operated broad-line food service distributor (the “Company”) distributes over 8,000 products used in food preparation and food service areas to customers located throughout the Northeastern United States. Founded in 1940, their customers include restaurants, schools, camps and military bases. The Company also offers culinary services to help customers sell more food profitably. The Company experienced significant revenue growth in 2017 and 2018, driven primarily by several new national chain restaurant accounts. They also successfully implemented a number of operational initiatives in 2018 that positioned them for continued growth. However, the Company’s capital structure did not provide adequate liquidity to fund its working capital requirements and increased operating costs associated with onboarding the new customers. SSG was engaged to refinance their existing debt and secure additional availability to fund current and long-term cash needs. SSG leveraged its broad network of capital providers and solicited interest from a targeted list of traditional and alternative lenders. 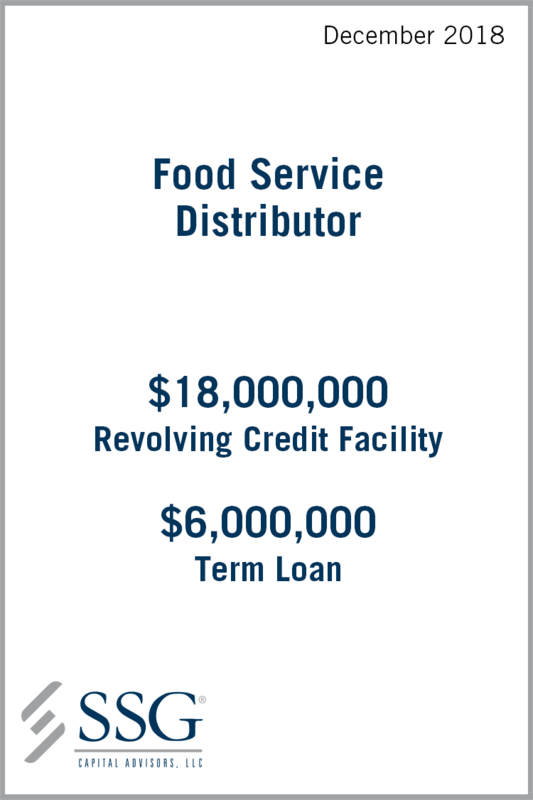 After receiving multiple term sheets that met or exceeded the Company’s requested terms, a $24.0 million facility comprised of an $18.0 million revolving line of credit (including a $1.5 million FILO tranche) and $6.0 million term loan was determined to be the best solution. SSG’s deep market knowledge and execution capabilities resulted in a solution that maximized availability against assets while limiting borrowing costs, covenant restrictions and personal guarantees for the Company.